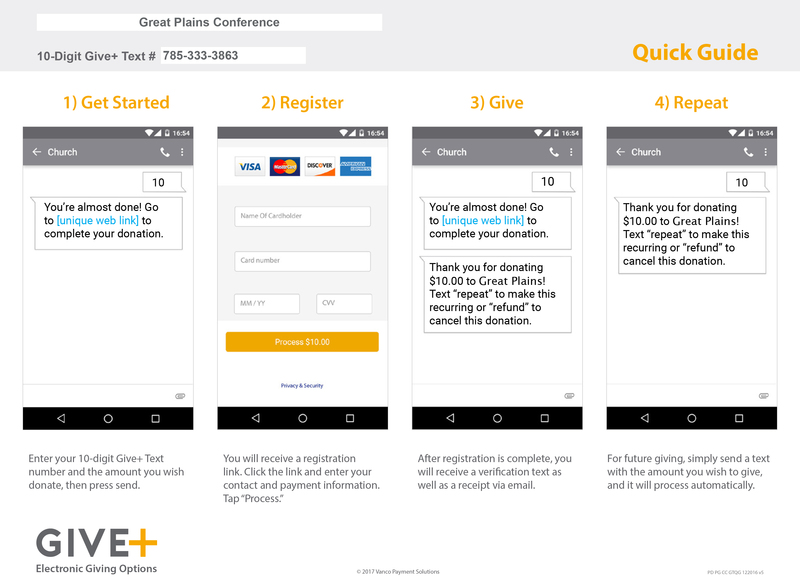 You can now make a contribution to Great Plains Disaster Response with text! To give to Great Plains Disaster Response, simply send a text message with the amount you want to contribute and the word “Help” to 785-333-3863 (example: 25 Help). Be sure to put a space between the amount and the word “Help”. Within a few minutes, you will be sent a text with a link to register. Click on the link and enter your contact information, cardholder name, and debit or credit card information. Once your registration is complete, you will receive a text verification and an email receipt of your donation. For future giving, send a text with the amount you wish to give and the keyword “Help” (example: 25 Help), and it will process automatically. You can even text “repeat” to make it a recurring donation. Give+ Text is one of the fastest, easiest ways to give. We hope you enjoy this new way to share your generosity, and we thank you for supporting the Great Plains Conference.